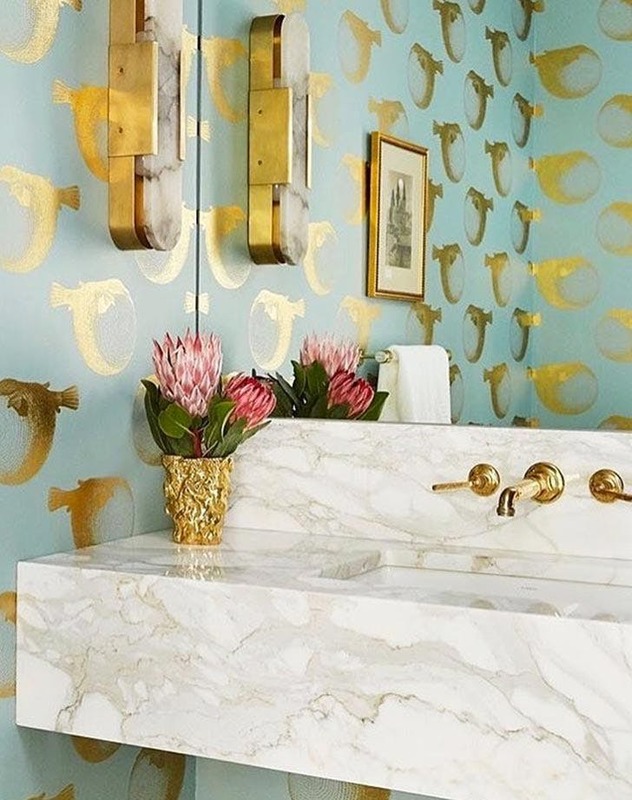 When it comes to bathroom decor, there are a few favored routes. 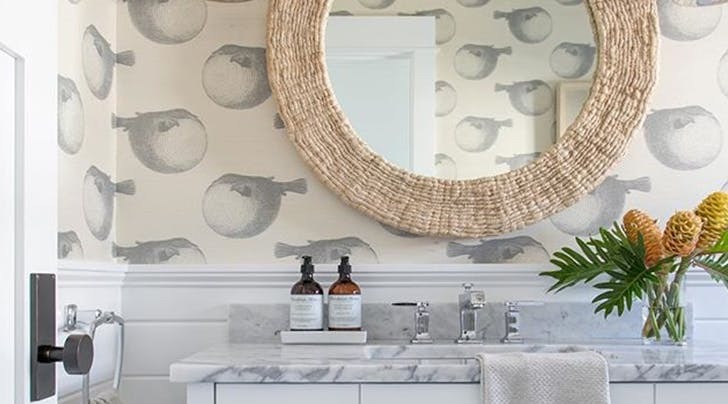 There’s the currently ubiquitous spa-like minimalism (aka white on white with an artfully placed succulent or two), and then there’s the well-worn nautical theme. Seashells? Sure. Old-timey ships? Aye aye, cap’n. Comically rotund puffer fish…wait, what? 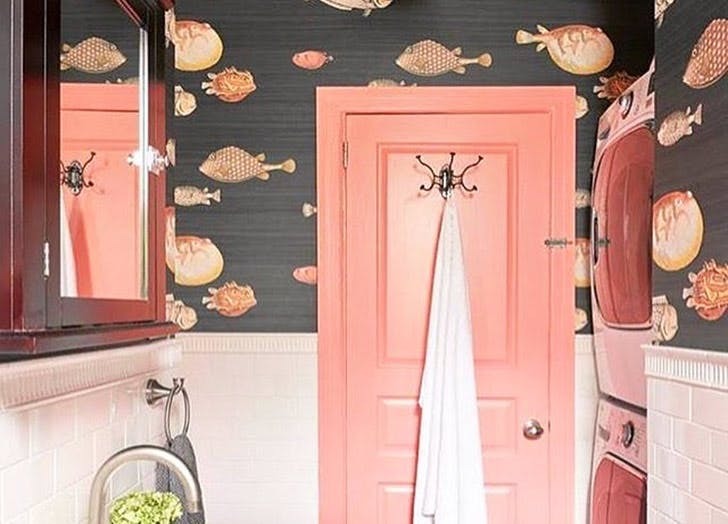 We stumbled across the quirky motif while scrolling Instagram and immediately had an urge to outfit our powder room with those ugly-cute swimmers. 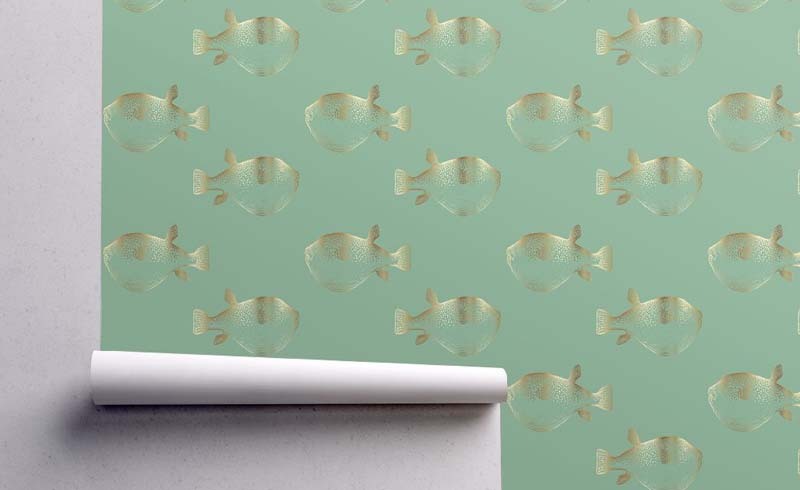 This version is by Abnormals Anonymous, a boutique wallpaper studio that also traffics in such undersea critters as lobsters and whale skeletons (again…what?). 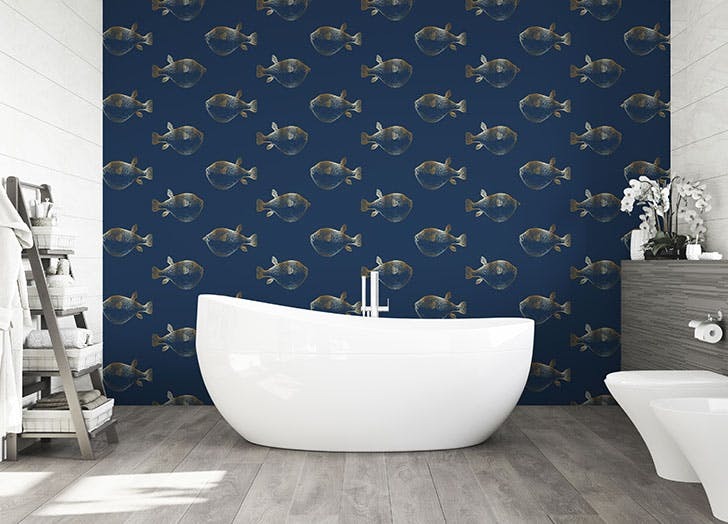 While blowfish may be famously poisonous in real life, in two-dimensional form they make the perfect facetious mascot for all our grooming rituals. And somehow the pattern still feels neutral enough not to overpower the room. Below, a few more of our favorites. Now we just need to figure out how not to giggle while brushing our teeth. Not into understated? This gold and aqua colorway turns the humble species into the rockstar of the sea. Or, if millennial pink is more your speed, this iteration from Cole & Son (which admittedly contains a few non-puffers) makes a great complement. Oh, and surprise: It looks great in navy, too (as shown in this rendition by artist Jennifer Latimer). Yep, the little dude's inflating defense mechanism is our aesthetic gain.